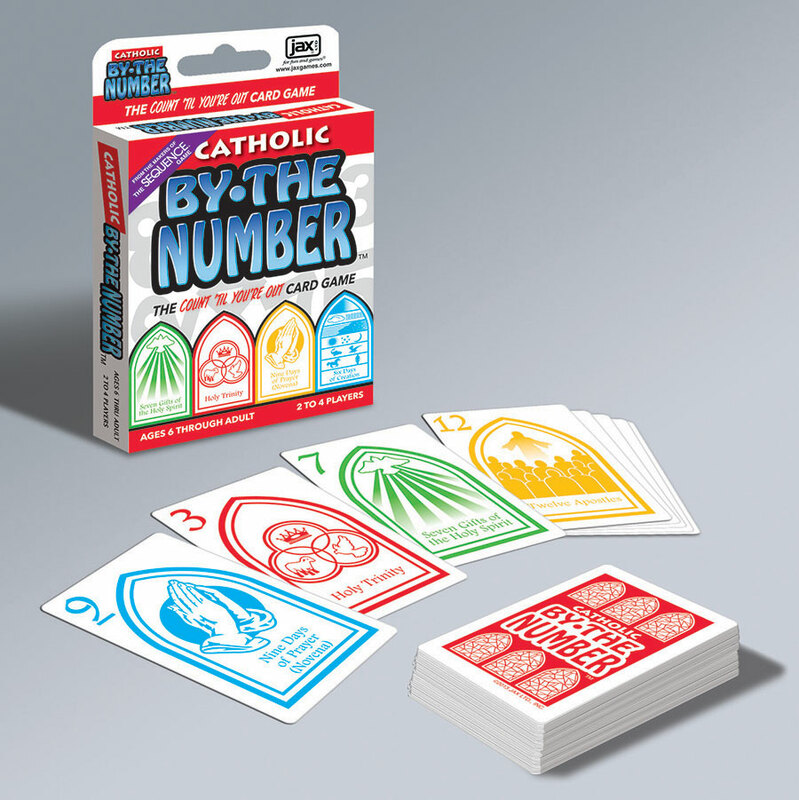 ‘CATHOLIC: BY THE NUMBER’™ is the fast fun card game based on the Catholic faith. There are 4 color groups of cards, numbered 1 through 12 in each group. The numbers correspond to a Catholic-related picture on each card. Cards are played in numerical order until one player runs out of cards to win the game.